Who said there was nothing to be gained from a rusty old car? 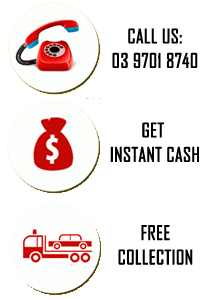 At Hazara Car Removal, you can trade in your damaged or broken down and rusty old vehicle into quick cash. And what’s even better is we’ll take it off your property for free! As much as we fear it, there’s a chance that your car might be thought useless. You might had an accident. Or, there could be mechanical problems that render it unable to run. Other types of physical damage can happen to the car that make it difficult to use. Some car repairs end up costing more than the car itself, especially if the car is used. You think you will end up with a junk car and nothing to do with it. Well, unknowingly to most people, any car, no matter how bad the condition, can be sold for cash. You can sell salvage car, no matter how damaged it is, and regardless of whether or not it runs. If you have a junk car that you need to get rid of, then Hazara's salvage car removals is exactly what you need. You can get the car removed for free. You won’t need to transport the car yourself; We will travel to your location to pick the car up. You simply have to make an appointment with the Hazara car removals and schedule the day you want the car removed. If you want, you can also get an estimate on how much the car will sell for. On the day you sell the car, our representative will go to your residence or wherever else the car is located. The car will then be inspected, and you will get your cash. The car is then towed away and you won’t have to worry about it again, plus you’ve just made a profit. Hazara car removals Melbourne is that easy. So if your car ends up unwanted, is damaged in a crash, suffers a mechanical malfunction, or has some other defect that renders it unusable, then you can get rid of at our yards. Don’t worry about losing money because your car gets wrecked. Instead, use it as an opportunity to make some cash. All makes, models, and cars from different years are welcome. You can sell SUVs, trucks, pickups, and any other type of car. No matter what model the car is, it can be sold. Newer cars can get sold for more. All you need to do is to call (03) 9701 8740 or 0409 145 434 or fill out the form to the right to get your quote right away. And if you have any other questions or concerns, feel free to contact us there as well. Call 0409 145 434 for your wrecked salvage cars and get it removed.